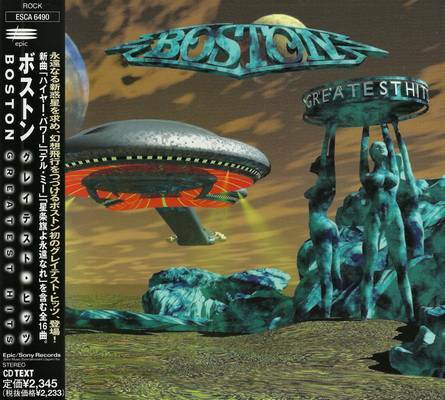 Greatest Hits is the first greatest hits album by American rock band Boston. The album released on June 3, 1997 features songs originally released on both the Epic and MCA labels, as well as three previously unreleased recordings (“Tell Me”, “Higher Power” and “The Star-Spangled Banner”). Tom Scholz, the band’s leader, felt that the album’s sound quality was not up to his standards, so a remastered version of the album was released in 2009 with a slightly different track listing. Boston embarked on a tour for this album both times it was released.